The special issue “Modified Gravity: Progresses and outlook of theories, numerical techniques and observational tests” edited by Baojiu Li and Kazuya Koyama has been published in the International Journal of Modern Physics D.
IJMPD has generously offered to make the articles freely accessible until the end of February 2019, at https://www.worldscientific.com/toc/ijmpd/27/15. The DOIs for the individual articles are shown below. Some of the chapters will be available on arXiv after the 12 months embargo period after publication. We also plan to publish this as a book incorporating updates. We are pleased to announce that the 30th Texas Symposium on Relativistic Astrophysics will take place from Sunday 15th to Friday 20th December 2019 in Portsmouth, UK. The Texas meetings have covered topics such as black holes, gravitational waves, neutron stars, cosmic rays, dark matter and the early Universe since the first symposium, held in Dallas in 1963. The Symposium will include both invited and contributed talks and posters. The 2019 meeting will be hosted by the University of Portsmouth’s Institute of Cosmology and Gravitation. Conference information will be posted on the symposium website http://texas2019.org, where you can sign up for future announcements. Researchers from the University of Portsmouth have come up with a new measurement of one of the most debated topics in cosmology. 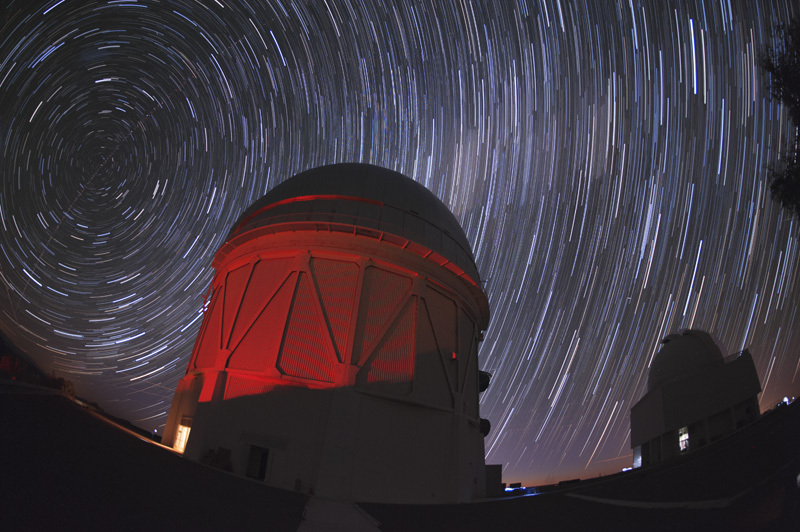 Three cosmologists from the University’s Institute of Cosmology and Gravitation analysed new data to provide one of the most accurate measurements of the Hubble Constant to date. The Hubble Constant is the local expansion rate of the Universe and is the cornerstone of modern cosmology. This expansion rate was first measured by Edwin Hubble in 1929 and is known as Hubble’s Law. A key part of this law is Hubbles’ Constant, which represents the exact expansion rate now (i.e., how fast space is expanding in our local cosmic neighbourhood). The study is one of eight new papers presenting exciting results from DES, of which the University of Portsmouth is an institutional member (in 2006). They will be presented at a special DES meeting at the Royal Astronomical Society in London today (9 November). 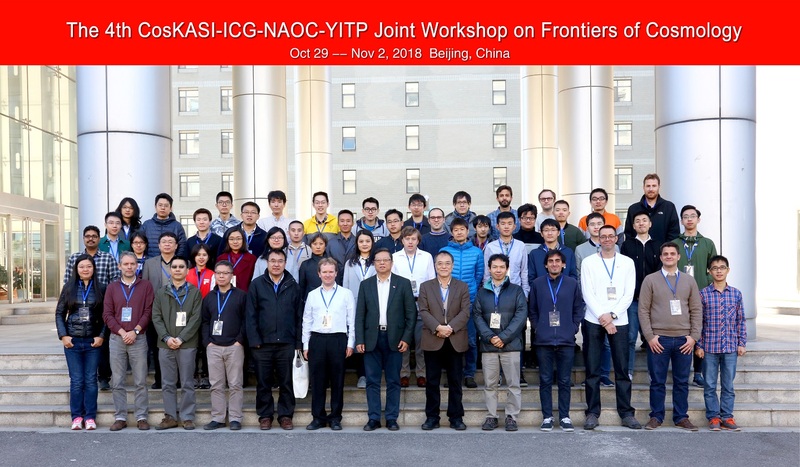 Several ICG researchers attended the 4th CosKASI-ICG-NAOC-YITP workshop on Frontiers of Cosmology. This is the fourth workshop organised by the four institutes. 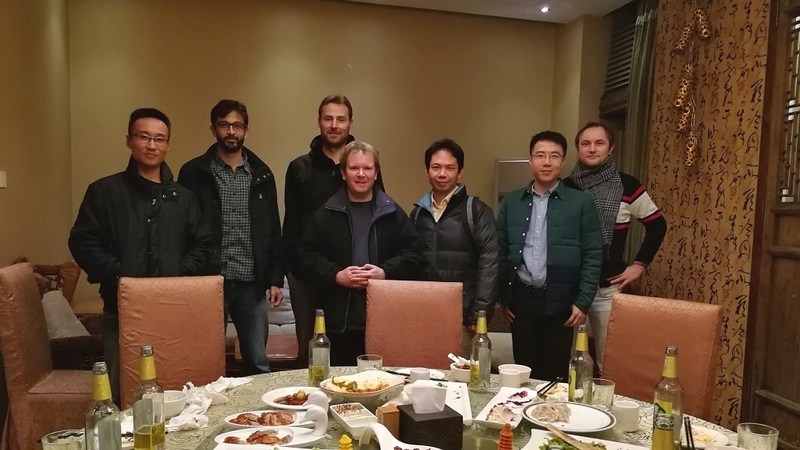 This time, the workshop was held at National Astronomical Observatories of China in Beijing. There were around 60 participants including many Chinese students. The workshop was organised by Gong-bo Zhao and Jian Li at NAOC. The ERC funded project “CosTesGrav” led by Prof. Koyama aims to develop cosmological tests of gravity and seek solutions to the origin of the observed accelerated expansion of the Universe by challenging conventional General Relativity. This project will exploit ICG’s involvement in international astronomical surveys such as European Space Agency’s Euclid mission. The hot weather could not melt the enthusiasm of our placement and internship students. 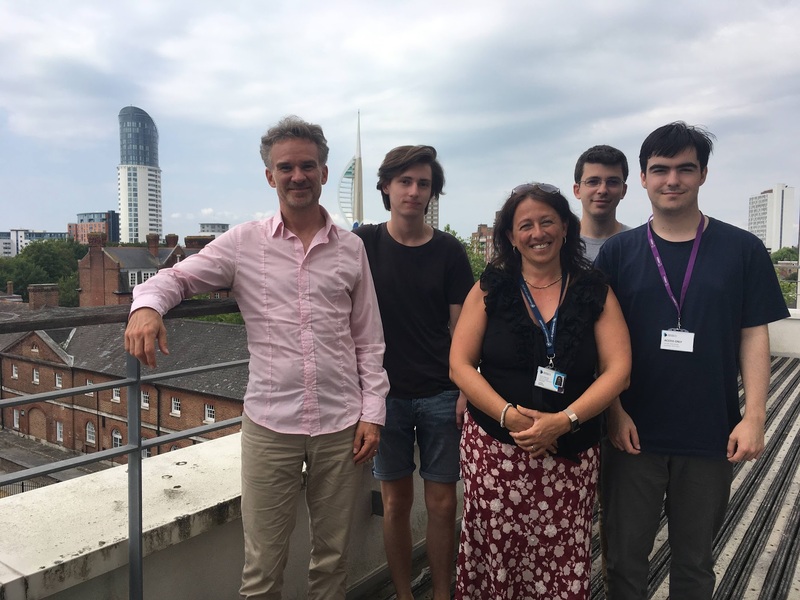 In the week July 16-25 Samuel Richardson from UTC Portsmouth and Dominic Hanley from Oaklands catholic school have worked with ICG PhD student Pierandrea Guarnieri under the supervision of Profs. Maraston and Thomas, on determining the robustness of redshift determinations, in particular studying the factors determining their quality. 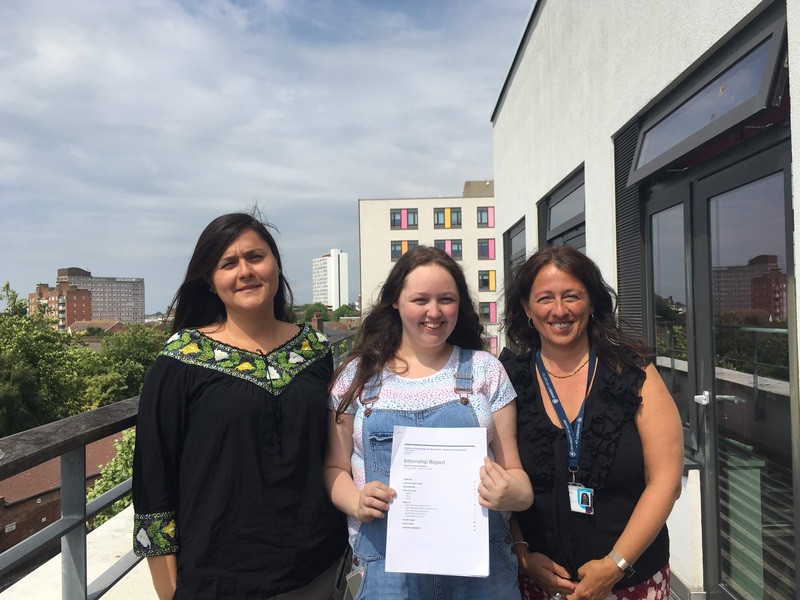 From July 3 to 25, Portsmouth Physics student Sophie-Louise Courtney has started to learn how to derive the physical parameters of stellar spectra working with Dr. Sofia Meneses-Goytia under the supervision of Prof. Maraston. Sophie has even written a report and will be ready to start her Master in September. It was a pleasure to host these hard working students and we wish them all the best for their future!